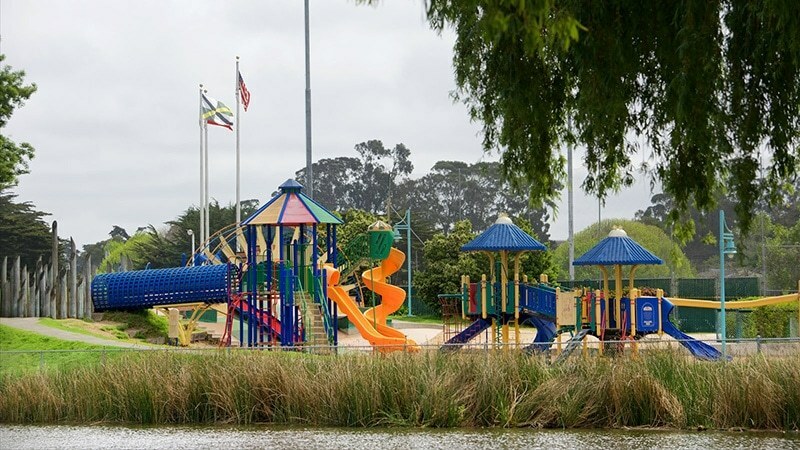 Wondering what the best things to do in Monterey with Kids are? 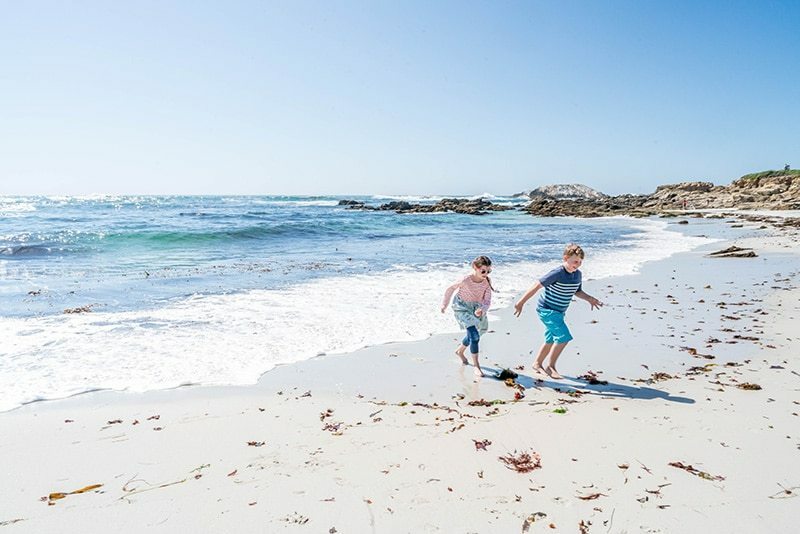 Check out these ten activities that are sure to keep the whole family entertained on your trip to Monterey! 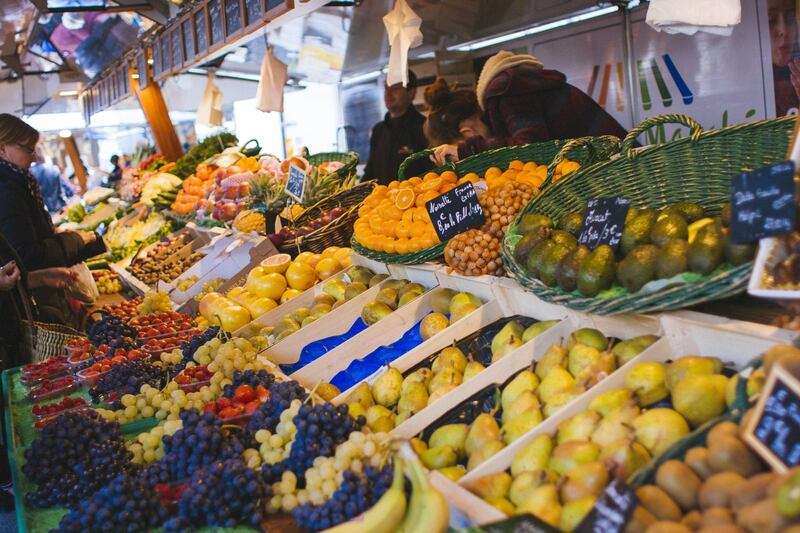 Looking for the best things to do in Monterey? Ok, I have a confession…even though we’ve lived all over the United States, including Hawaii and all over Europe, I was born and raised in California, married in California and all my children were born…in California, there is still so much of this huge and beautiful state that we have never explored. But being back in the golden state for the past 9 months has forced me to explore more than I have ever before and it’s been glorious! Ever since we put our house up on Airbnb, we’ve had some weekends that we had to go away (darn) so we decided to head down to Monterey. We lucked out and had the most beautiful weather. A perfect 70 degrees and not a cloud in the sky. 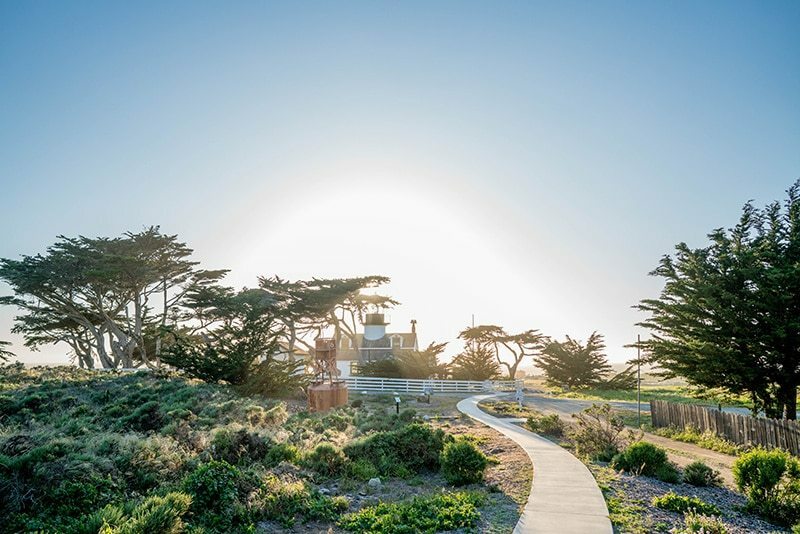 There are plenty of Airbnbs and small hotels in Monterey and Pacific Grove that are fun to stay at. We stayed at the Monarch Resort. The staff was friendly and the location was great, about 1 block from the lighthouse. 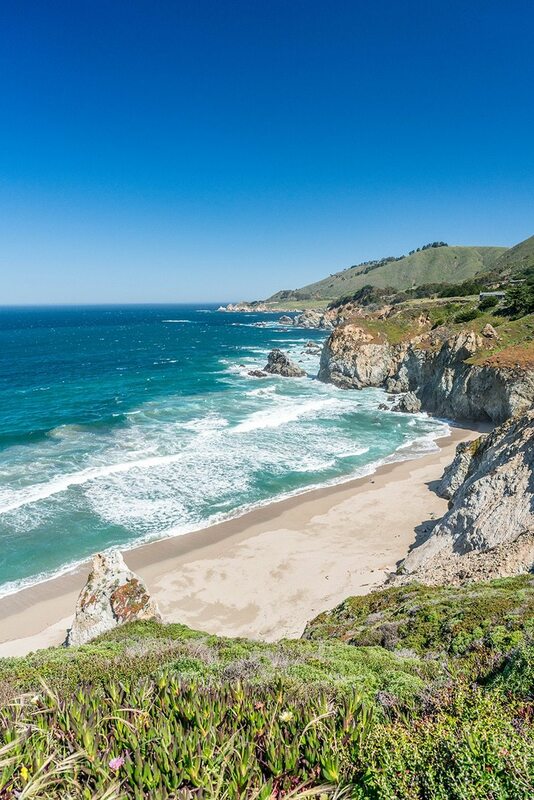 There are so many things to do in Monterey. 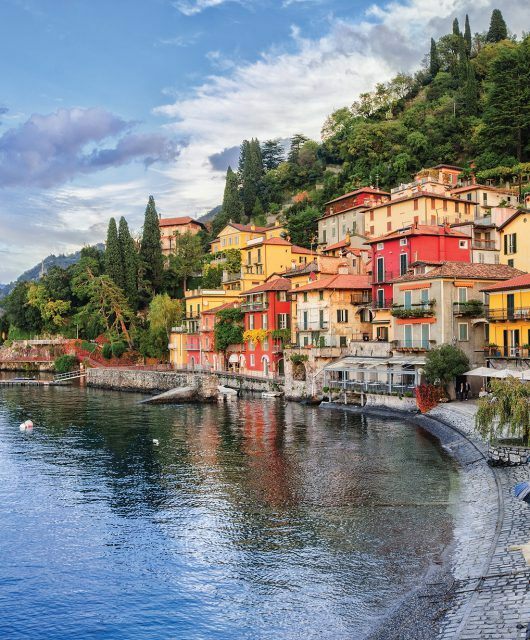 You could live there for years and not see it all. We packed in as much as we could in the weekend we were there, but I can’t wait to go back! 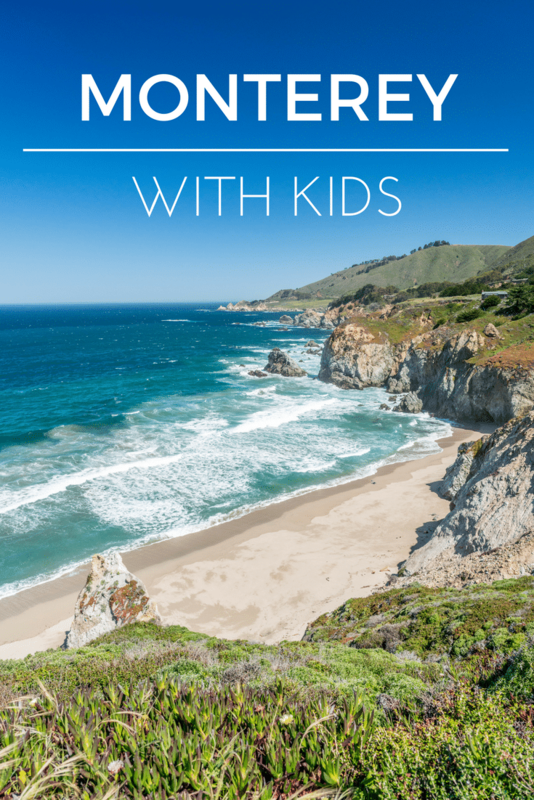 If you are heading to Monterey, here are 10 things to do with kids. 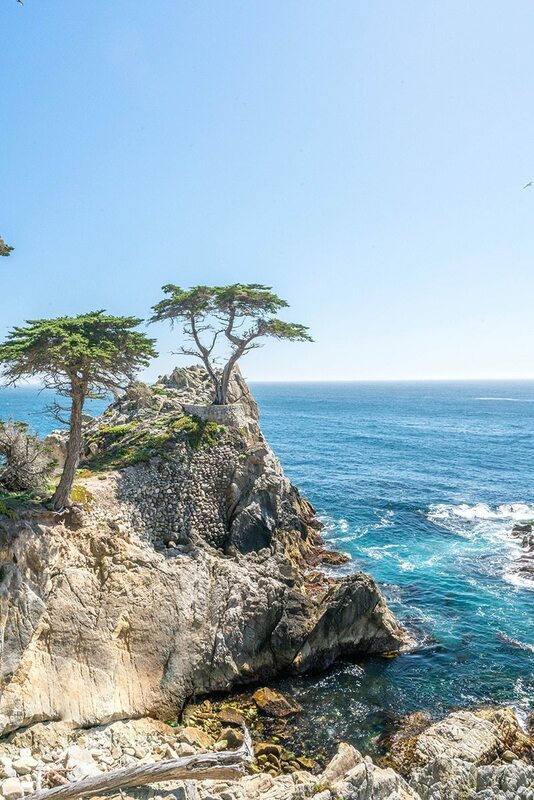 The Lone Cypress is over 250 years old! This was probably our favorite thing to do in Monterey. It was relaxing and scenic for the adults, fun and windy for the kids with great beaches to stop at! There is a $10 fee to enter 17 mile drive, but it is worth it. You will see gorgeous, untouched beaches, mansions of the rich and famous, the lone cyprus and stunning cliff top views. Go early in the morning as there can be a line of cars to enter. You can use your ticket to enter any time that same day. 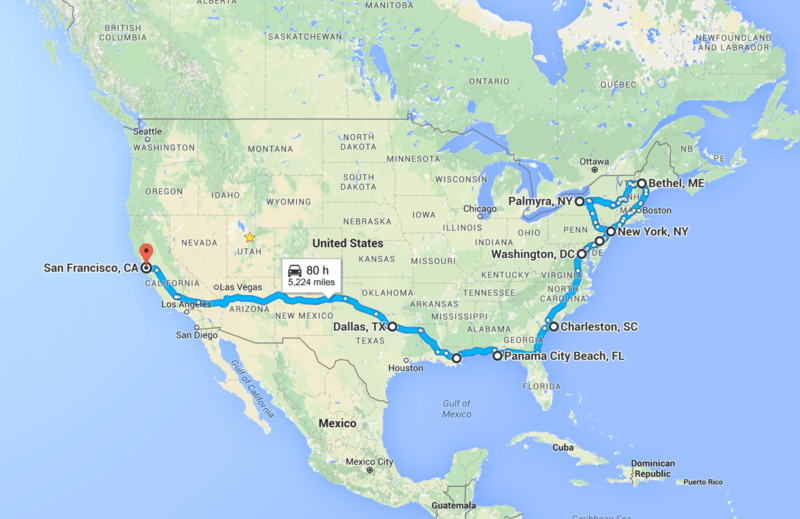 There are several entrance points, but we started in Pacific Grove and went along the coast. 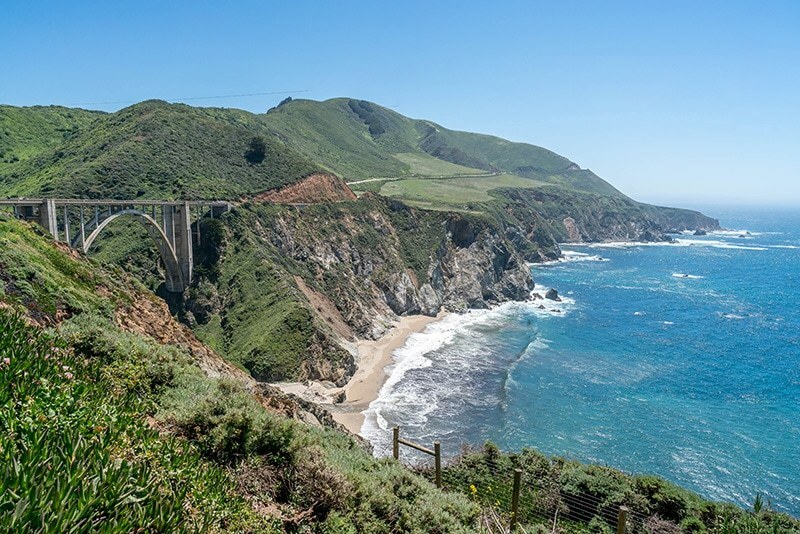 Iconic Bixby Creek Bridge is not to be missed! Upon exiting 17 Mile Drive you can hop on the 1 and drive down the coast. Just like 17 mile, it’s a stunning drive. There isn’t much between Carmel and Big Sur, so grab snacks and a good playlist and head on down! Luckily there are about 100 porter potties between Monterey and Big Sur. I think we tried about half of them! We stopped in Big Sur Station for lunch. It’s beautiful driving from coastal cliffs and breezes and into tall redwoods and warmer weather. 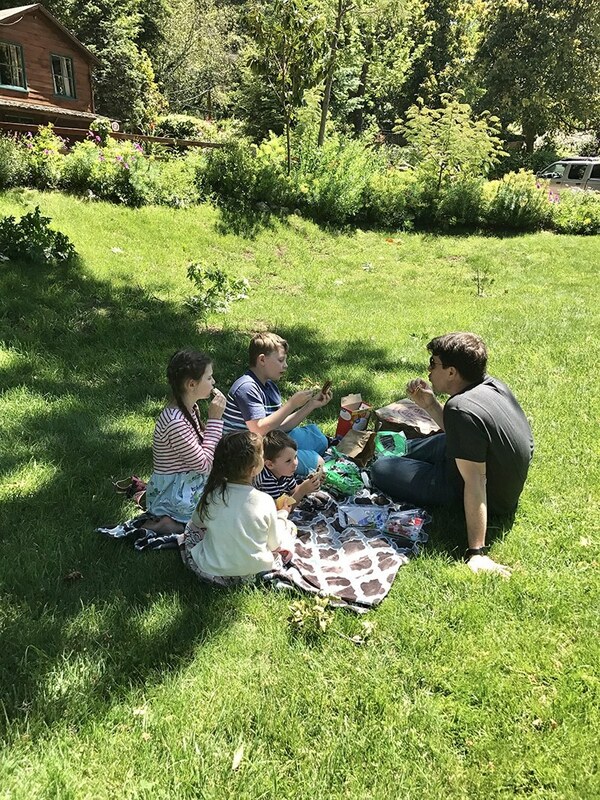 We stopped at the Big Sur public library and had a little picnic in the park behind it. There are several places to grab lunch in Big Sur including the roadhouse where you can grab a burger. 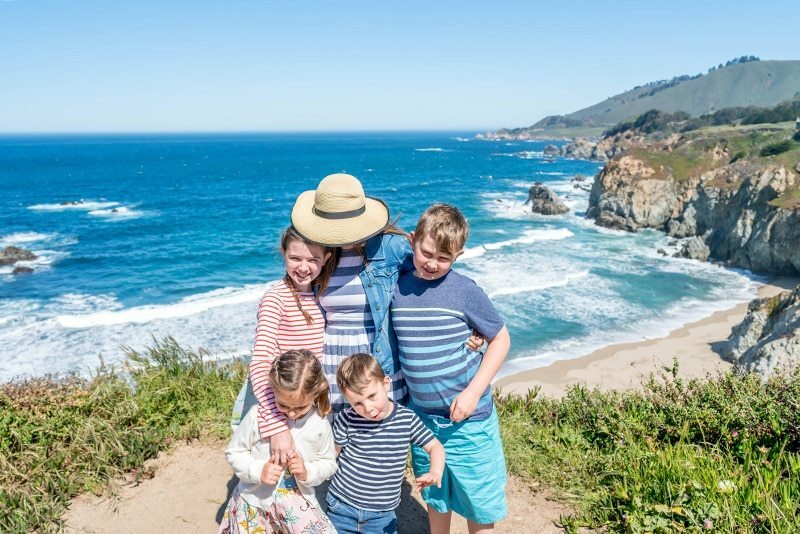 There are several hiking trails throughout Pfeiffer Big Sur State Park that would be good for families. We wanted to drive farther south on the 1, but it was closed due to a collapsed bridge! They have had 80 inches of rain in the past 8 weeks. That’s a huge amount for California, who has been in a drought for the last 5 years! We’ll have to come back and finish the 1 in a few months when the roads are repaired. On our way back up the 1 to Monterey, we stopped at the Carmel Mission. 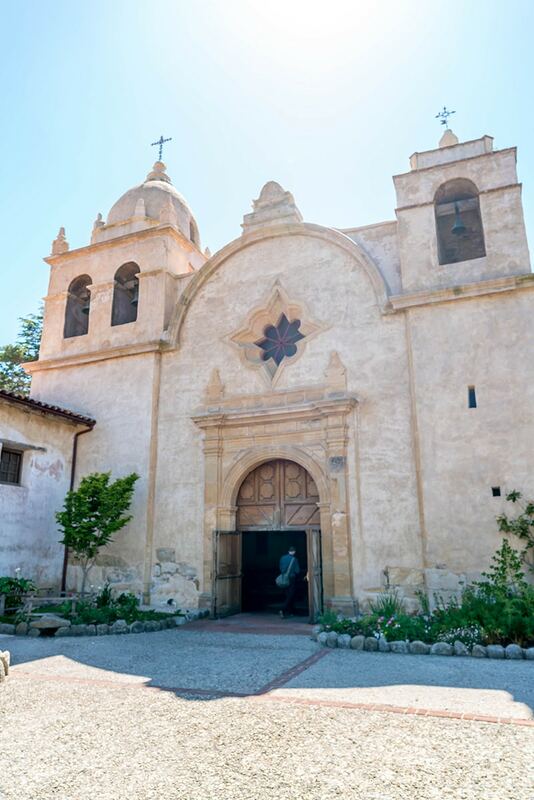 The mission was the headquarters of the Alta California missions founded by Saint Junípero Serra and founded in 1771. 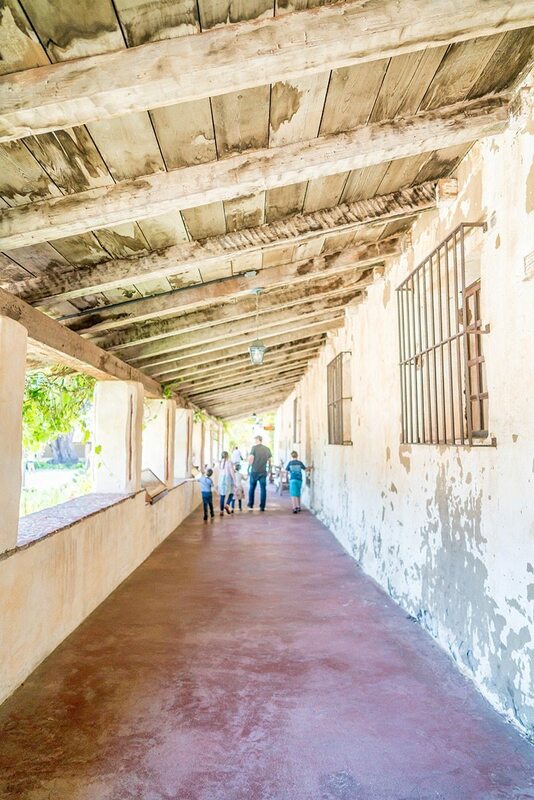 Anyone who has had a 4th grader in California, or was a 4th grader in California, will know all about the California Missions and their importance in the colonization and founding of the state. Father Serra, who was recently canonized in 2015 as a Saint in the Catholic church, is buried here. 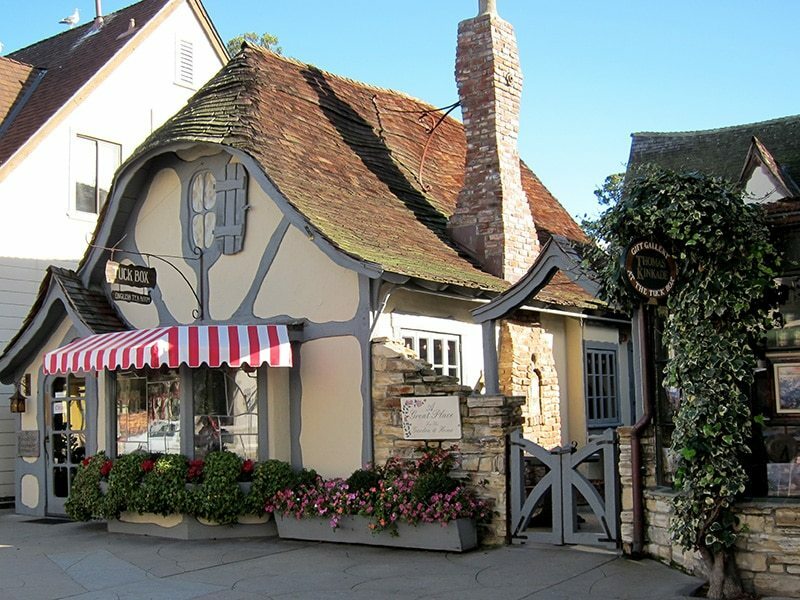 Ok, this is quite possibly the cutest town in all of America. Think quintessential quaint European town meets California surf town. The shops and houses are just adorable and the beach is gorgeous. Once a year in August this town hosts Car Week which is incredible. I think we’ll be going back for this! This one of the things we were looking forward to most on our trip to Monterey, but sadly it was closed for repairs the weekend we went. Such a bummer, but we’ll be back. My kids have been to this before (several years ago) and absolutely loved it and still talk about it today. One of the most popular things to do in Monterey, The Monterey Bay Aquarium is honestly the best aquarium we’ve ever been to. It’s huge with plenty to discover and organized really well. 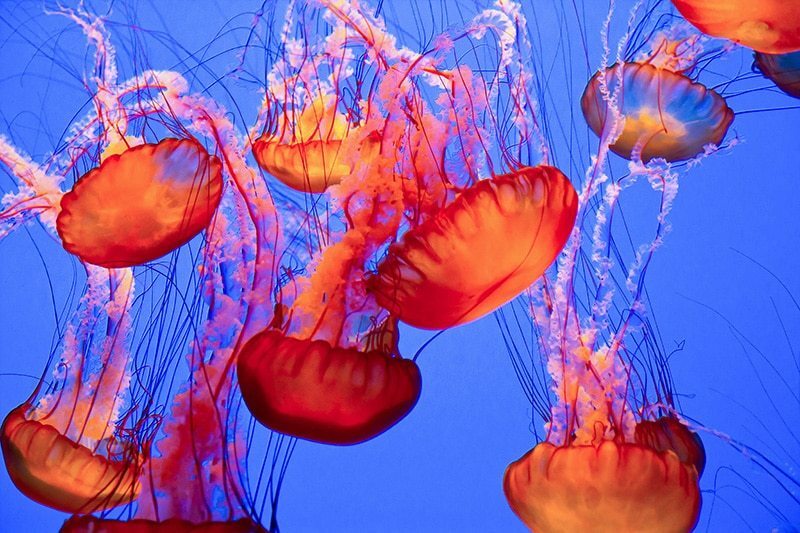 The jellyfish are always a favorite! Pacific Grove is such a chill little town. It’s like Monterey’s hippie little sister. I love wandering the main street and eating at the quirky little cafes and diners. Our hotel was about a block away from the lighthouse. We loved walking along the coast. It was so relaxing and not busy. A fun place to hang out, grab a bite to eat and watch the seals. This reminded me of a smaller scale version of San Francisco’s Pier 39. 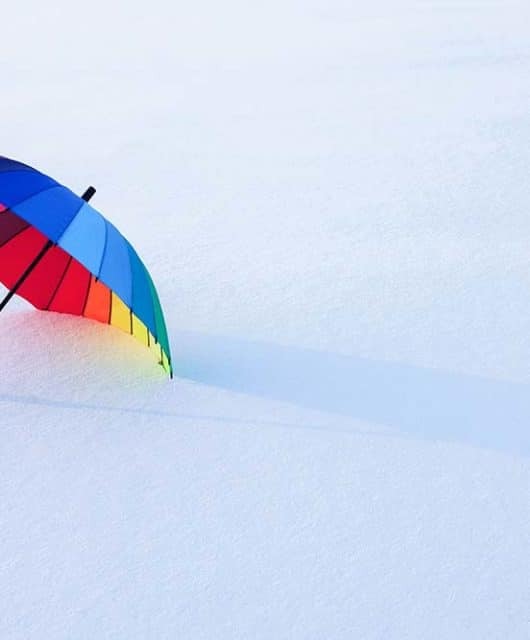 This may be a given, but don’t forget to go to the beach. Monterey might not boast the warmest waters in California, but they are clean and beautiful. If you go at the right time of the year you can even see whales. In fact, while we were in town a group of Orcas attacked a group of wales. Don’t worry, they won’t come close to the shore. 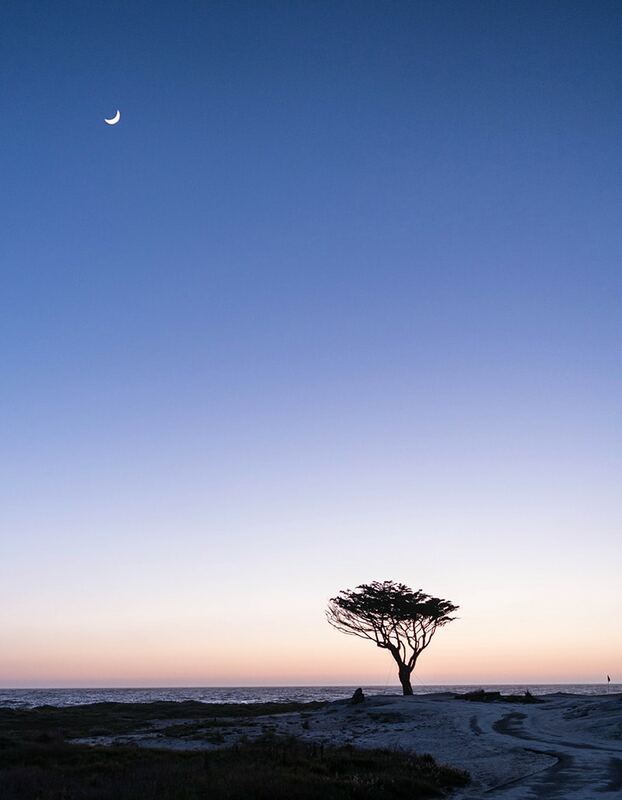 There are lots of great beaches in Monterey County, but our favorites are on 17 Mile Drive. The one we loved most was right by Seal Rock, across the street from the gingerbread looking house. You can’t miss it! 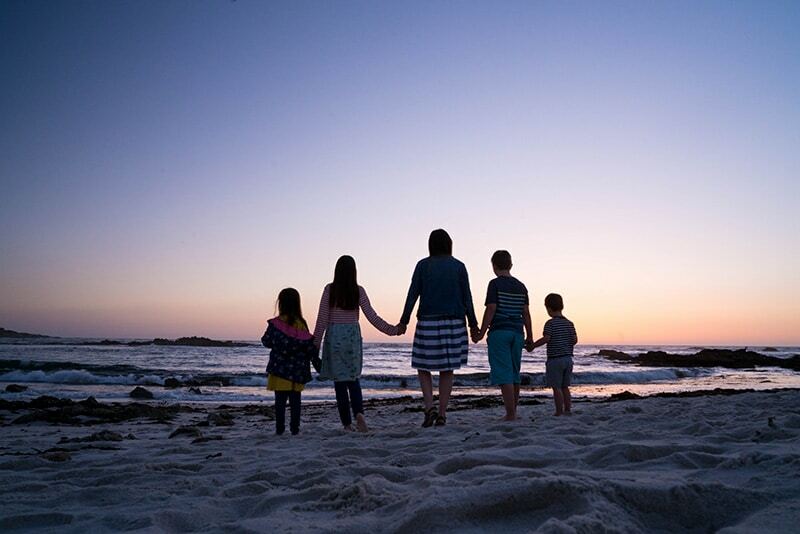 Best way to end our trip…gorgeous sunset spent with the ones we love! 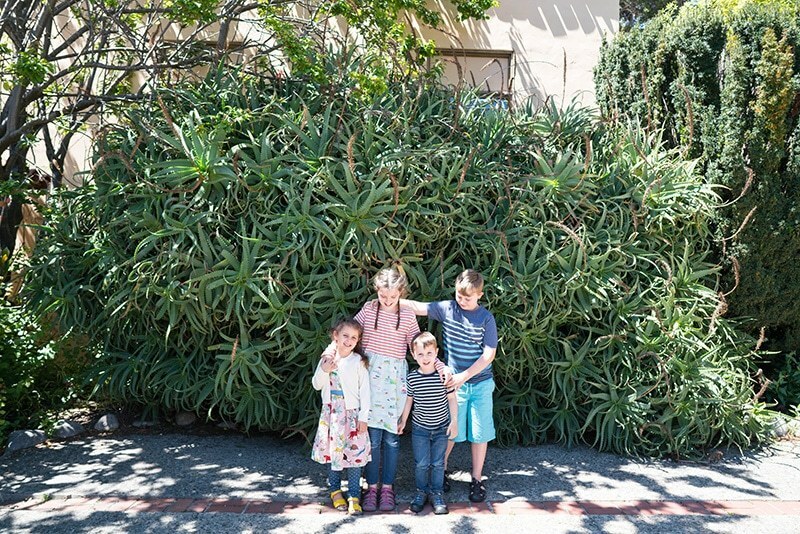 Our trip to Monterey was such a dream! I know that we’ll be back soon! Have you been to Monterey? What else would you add to this list? 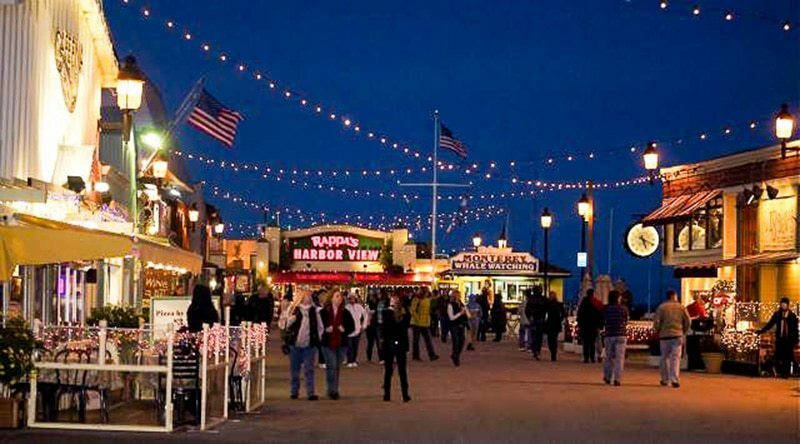 If you would like to learn more about what to do in Monterey, check out See Monterey! I hope this helps you decide what to do in Monterey during your visit. Whatever you choose, you’ll have a blast! What i don’t understood is actually how you are not actually much more well-liked than you may be right now. You are very intelligent. You realize thus significantly relating to this subject, made me personally consider it from so many varied angles. Its like men and women aren’t fascinated unless it’s one thing to do with Lady gaga! Your own stuffs outstanding. Always maintain it up! I’m no longer positive where you are getting your information, however great topic. I needs to spend a while finding out much more or understanding more. Thank you for great information I was looking for this information for my mission. I am intrigued to learn just what website system you’re using? I am experiencing several slight safety problems with our most recent blog dealing with garageband download so I would like to find one thing far more safe. Have any solutions? It was wonderful to read this and I believe you are entirely correct. Let me know if perhaps you are interested in cell phone locator, this is my main competence. I hope to see you in the near future, take care! It was great to read this info and I feel you are really right. Tell me if you’re looking into router connection, that is my major competence. I hope to see you in the near future, bye for now! Greetings! 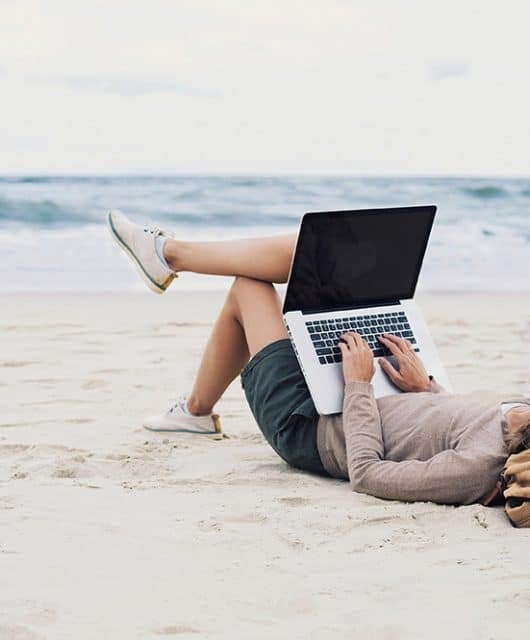 This is my first comment on your site so I simply wanted to give a fast hello and tell you I really enjoy reading your posts. Can you recommend any other blogs that deal with router address? I’m likewise extremely hooked on that! Thanks for your time! There are actually amazing modifications on the design of the webpage, I truly enjoy this. My own is about essential android apps and right now there are lots of things to do, I’m still a starter in website creation. Take good care! You’re absolutely correct and I agree with you. When you wish, we might as well chat regarding smartphone test, a thing which fascinates me. Your website is truly brilliant, take care! Thank you so much for sharing the idea, I saved the page. 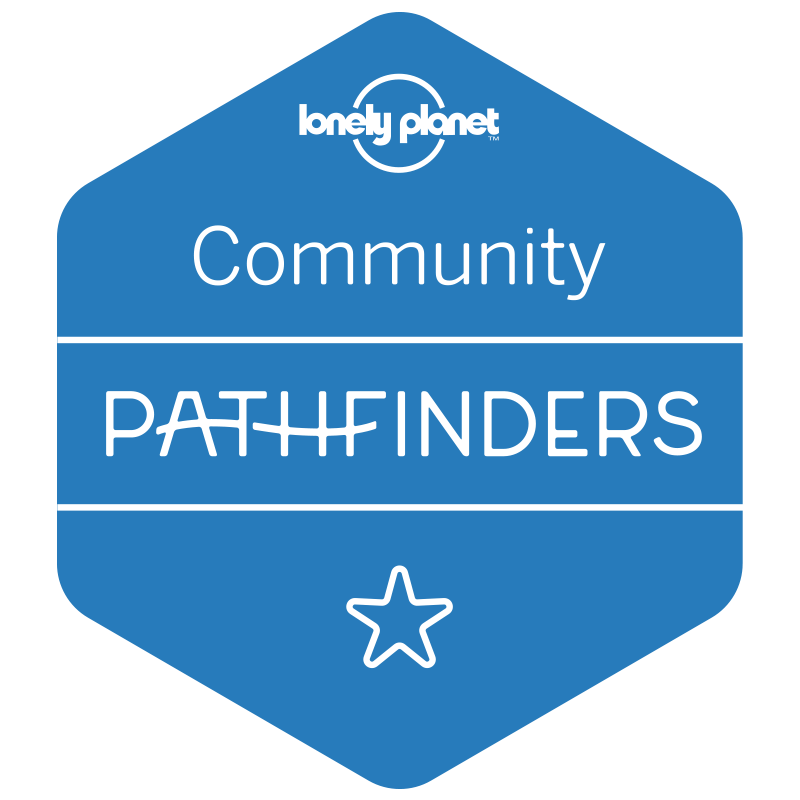 I’m furthermore in search of tips on lucky patcher latest apk, have you any idea exactly where I can discover one thing like this? I will be back soon! Appreciating the time and energy you invested in the website and in depth facts you offer. It is awesome to discover a website occasionally that is just not the same outdated re-written stuff. Amazing read! I have saved your blog and I am including your RSS feeds to our lucky patcher download website. within the United states and U.K. before this four weeks. I always read your articles attentively. I’m likewise thinking about upvc windows prices, you might talk about that occasionally. Cheers! Hello. I just noticed this excellent website and I really like it. I also always like to chat about upvc window styles at times. Good to be around, appreciate it! Thanks for sharing superb informations. Your site is so cool. I am impressed by the details that you’ve on this site. It reveals how nicely you understand this subject. Bookmarked this web page, will come back for more articles. You, my pal, ROCK! I found just the information I already searched everywhere and just couldn’t come across. What an ideal web-site.